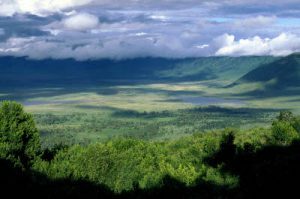 The Ngorongoro Conservation Area spans vast expanses of highland plains, savanna, savanna woodlands and forests. The Ngorongoro Conservation Area spans vast expanses of highland plains, savanna, savanna woodlands and forests. 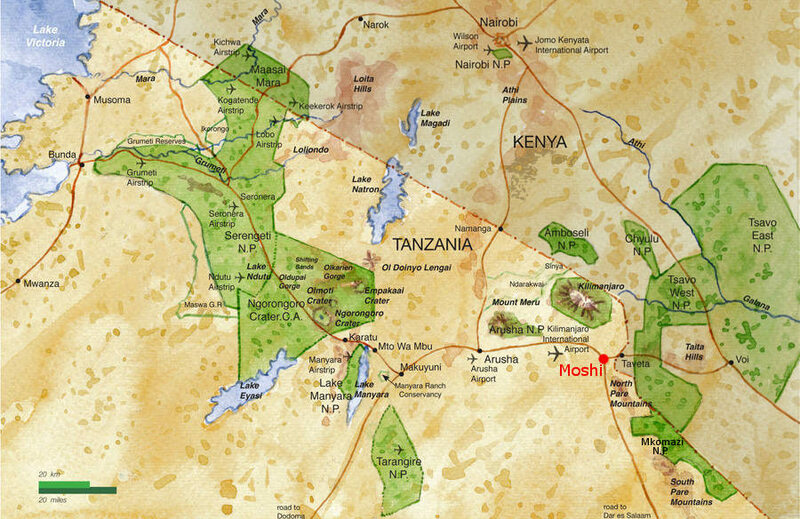 Established in 1959 as a multiple land use area, with wildlife coexisting with semi-nomadic Maasai pastoralists practicing traditional livestock grazing, it includes the spectacular Ngorongoro Crater, the world's largest caldera. The property has global importance for biodiversity conservation due to the presence of globally threatened species, the density of wildlife inhabiting the area, and the annual migration of wildebeest, zebra, gazelles and other animals into the northern plains. Extensive archaeological research has also yielded a long sequence of evidence of human evolution and human-environment dynamics, including early hominid footprints dating back 3.6 million years. Ngorongoro Crater is one of the largest inactive unbroken calderas in the world which is unflooded. It has a mean diameter of 16-19 km, a crater floor of 26,400 ha, and a rim soaring to 400-610 m above the crater floor. The formation of the crater and other highlands are associated with the massive rifting which occurred to the west of the Gregory Rift Valley. The conservation area also includes Empakaai Crater and Olduvai Gorge, famous for geology and associated palaeontological studies. A population of about 25,000 large animals lives in the crater, mainly ungulates, along with the highest density of mammalian predators in Africa. They include the critically endangered black rhinoceros, hippopotamus which are very uncommon in the area. There are also many other ungulates: wildebeest, Burchell's zebra, eland, Grant's and Thomson's gazelles. The crater has the densest known population of lion, which are classed as vulnerable. On the crater rim are leopard and the endangered African elephant, mountain reedbuck and buffalo.